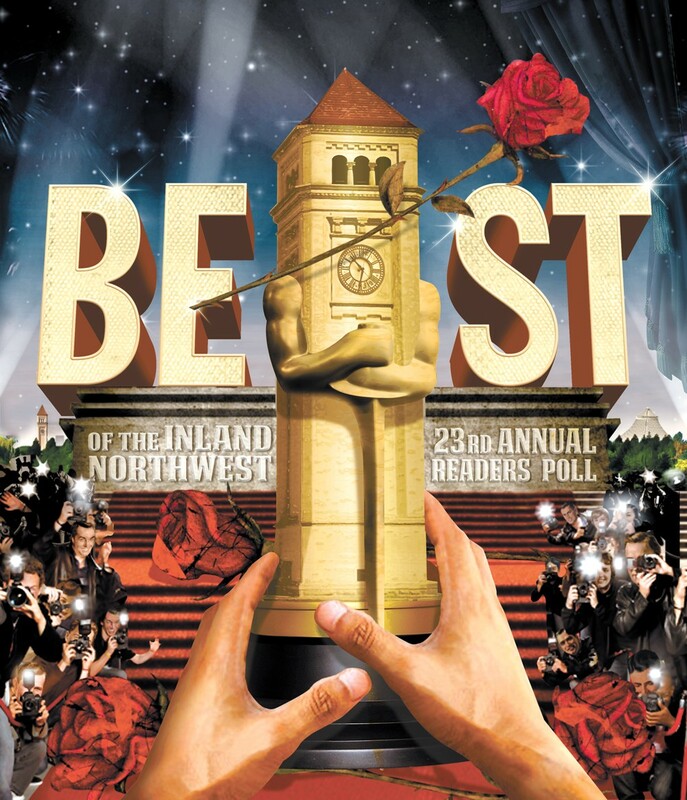 You voted, we counted and here you have it — the results of the 23rd annual Best of the Inland Northwest readers poll. We asked 125 questions this year, and you offered up thousands of nominees — each and every one the very best in at least one voter's eyes. But this is a poll, and we're naming names here — first, second, third and best of North Idaho — all for your reading pleasure. You can read all about five new additions to the Best of Hall of Fame, and don't miss the coverage of the Palouse and Sandpoint, where you'll meet Sandpoint's Best Ski Bum. (His name, no joke, is Jonny "Snow Jedi" Knight.) We've also got a Spokane Style section to illuminate our most pressing civic questions — like the Best Spokane Stereotype. Enjoy the issue and remember to embrace our region's excellence by shopping, drinking and living local!